The outer fabric is made from waterproof ballistic heavy duty nylon, completed by a strong lining fabric of PU-coated polyester. Complete with waterproof pocket for damp clothing after a workout in the gym and a wallet / iPod / phone pocket for security. 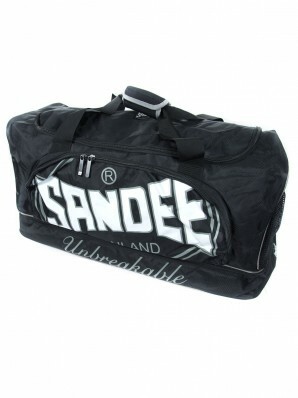 Sandee-branded metal zip pullers and large SANDEE contrast logos across all elements of the bag. Size: 71cm long / 33cm wide / 35cm high. Bag contents shown in images is for display purposes only and is sold separately.